Neil Warnocks decision to bring in new players at the end of the transfer window already look justified, excellent business was done, especially in the signings of Shaun Wright-Phillips, who looks revitalised after his move from Manchester City, and Joey Barton who has brought a bit of grit and Premiership know how to the QPR midfield. 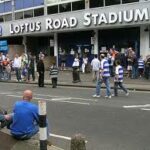 Their last home game may have ended goalless but that’s not to say it wasn’t without incident, QPR now have pace out wide and also a goal threat from that position. Adel Taarabt will surely have felt the load lighten just a bit as now there are other players whose presence could be instrumental in keeping them up. Relegation no longer looks a foregone conclusion, it’s amazing what a change of ownership and a few new signings can do to lift a club! 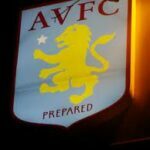 Aston Villa are yet to see one of their new signings kick a ball, Jermaine Jenas has sat out the last few games through injury but it looks as though he may finally be ready to play a part for his new side, he may only be on loan but Jenas is a player looking to make this move permanent, this may not be the easy game he was hoping for though, with Joey Barton recently at his combative best, this could be a tough game for the Villa midfield and with Darren Bent and Emile Heskey out, Gabby Agbonlahor will have a lot of running to do, a different kind of player to either Bent or Heskey, Agbonlahor will be looking to use his pace to get in behind the QPR backline and continue his hot goalscoring form. I can see the midfield getting congested in this one as Villa attempt to negate the influence Barton can have on the game, that should leave space on the wings and hopefully we will see a good game with some attacking wing play. I’m not sure either side has the strikers needed to make a dent against the other sides defence but honestly this one could go either way, in the end, I’m going for a draw.